Type location Senegal (Euponera (Mesoponera) senegalensis n. 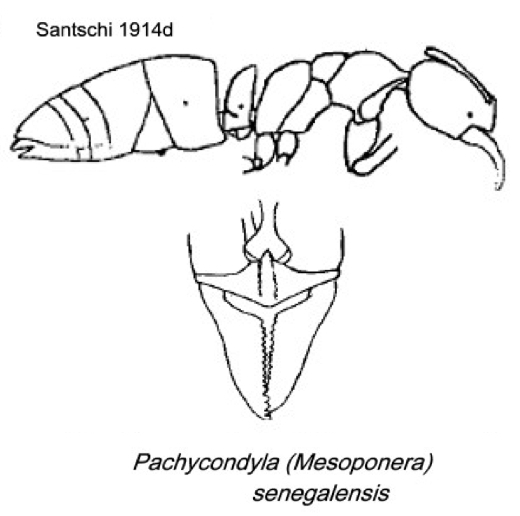 sp., Santschi, 1914d; in Pachycondyla Bolton, 1995: 309; new placement by Schmidt & Shattuck, 2014: 111) Thi鑣, collected by F. Silvestri; worker only described (see Bolton, 1995) . 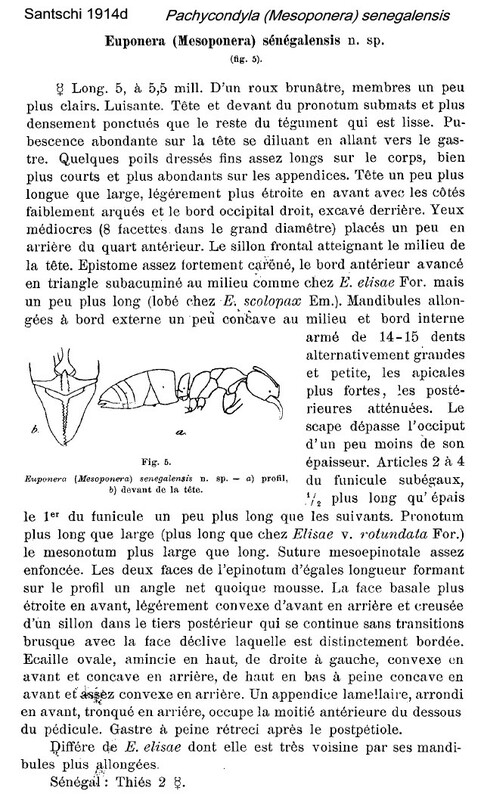 Colour red-brown, similar to villiersi, but with slightly larger eyes, 25 facets, and mandibles with 14 or 15 teeth (Bernard, 1952). 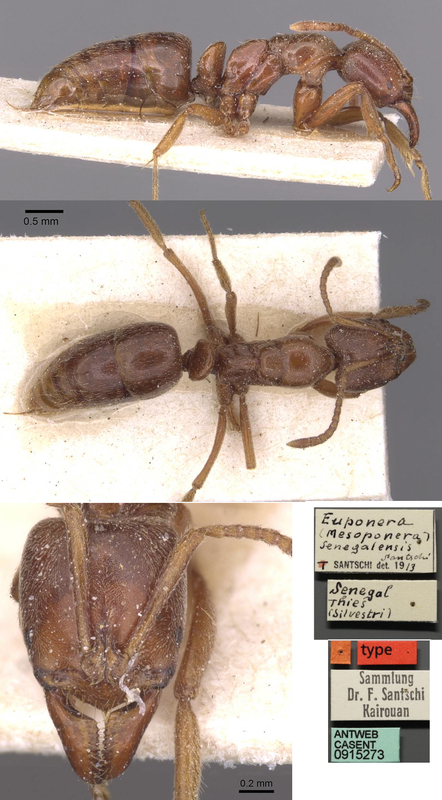 Bernard (1952) reported a finding from Guinea, 4 workers, collected at station T 91, Gou閘a A 2 (Lamotte). The photomontage is of a worker from Gabon, Pongara National Park; collector Yves Braet (Gabon 198). The photomontage is of a worker from Congo, Brazzaville area, ca 4�'33" S 15�'5" E; collector Yves Braet.